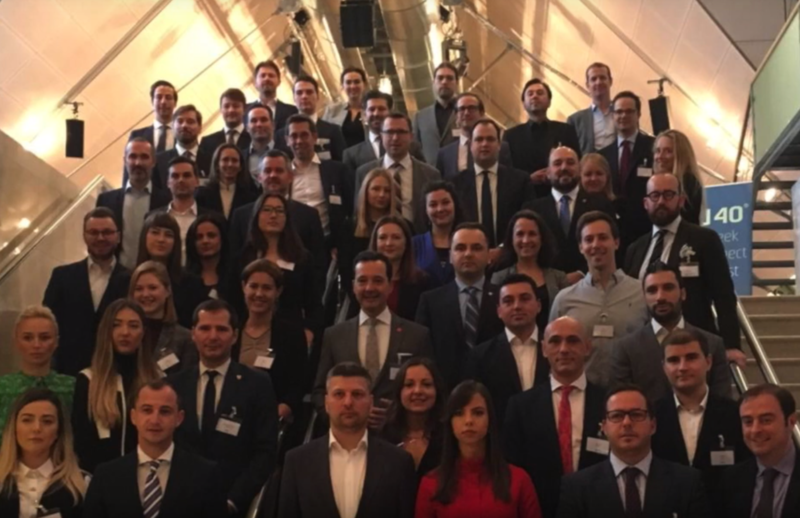 Upon invitation of JungeIndustrie.at (Young Industry Austria) and in the context of the current Austrian Council Presidency, the Young Parliamentarians Forum (YPF) met and exchanged ideas with young representatives of the vibrant Austrian economic landscape in Vienna on November 23, 2018. In a European Union where unemployment is growing and economic experts forecast a drastic slowdown of growth rates, Austria recommended itself and its economy to our young parliamentarians. Its geopolitical situation in the heart of Europe (between old and new Member States, between Southern and Northern Europe) and its economic agility make it an ideal business location. We were honored to meet with Austrian Chancellor Sebastian Kurz, State Secretary Karoline Edtstadler and many other interesting young representatives of Austria’s parliament and its flourishing economy. We also had an opportunity to visit the Henkel factory in Vienna and to explore the city with great guides. The video of the Forum can be watched here.